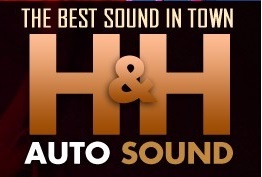 H & H Auto Sound | Downtown Sault Ste. Marie, Michigan! H & H Auto Sound is the premier auto sound and accessory dealer for the Eastern UP and surrounding areas. We stock only high-end, name brand equipment. Our years of experience in professional car audio set us apart from the rest. At H & H, you can expect the highest quality equipment and installation by capable technicians. Beyond offering a wide variety of car audio equipment from the best manufacturers. we specialize in expert installation of remote starter systems. We are a locally owned and operated company and are fully insured. We would be happy to provide references upon request. Contact H & H Auto Sound today or call 906-253-9288 for a free estimate on our installation services.